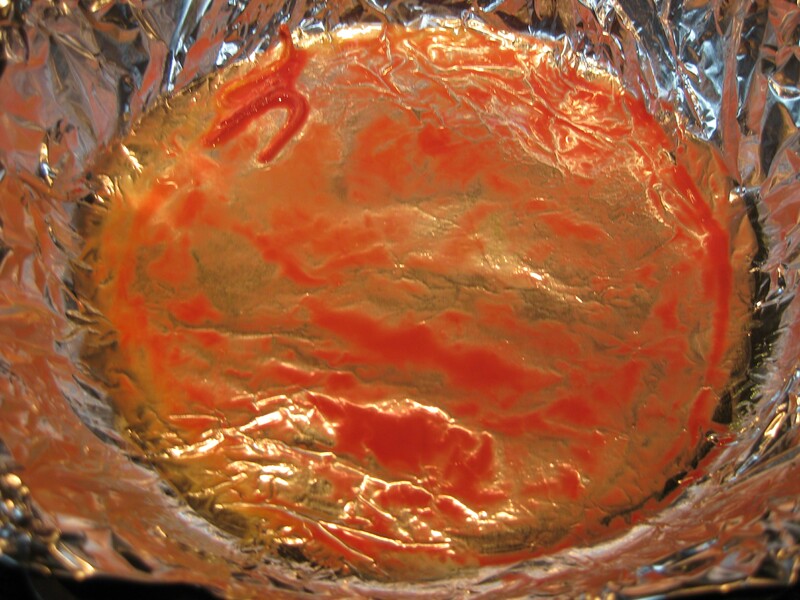 If you have leftover wax or a white crayon, interesting resists can result. Stamp a bold image in a light color (tint). Swipe the wax candle or crayon across the image in 3-5 swipes. Stamp the bold image again 2/3 on the existing image and 1/3 to the side in a medium shade of the same color. Swipe the wax or crayon again. Stamp the bold image again in a dark color so that the image is stamped on the 2 previous image and on unstamped card stock. Or pale blue, medium green, dark blue. This is a really fun technique because the image is supposed to be stamped slightly off the other images so that the effect is a light, medium, and dark result plus the 3 colors layered toward the center. Have fun. Oh, other crayon colors will work and give still more varied results. 2. Draw lines or squiggles with the white crayon or candle. 3. Diagonal white/wax crayon lines. 4. 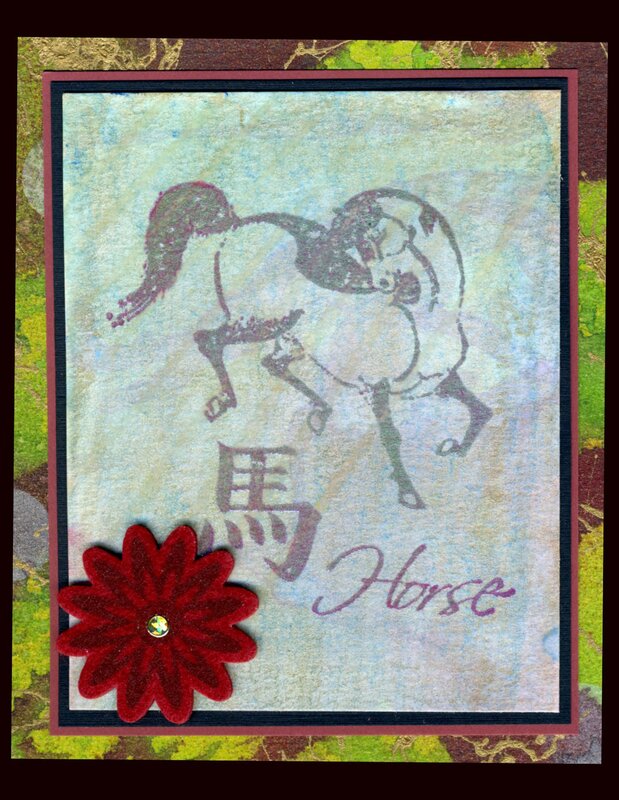 Card made with the wax resist. 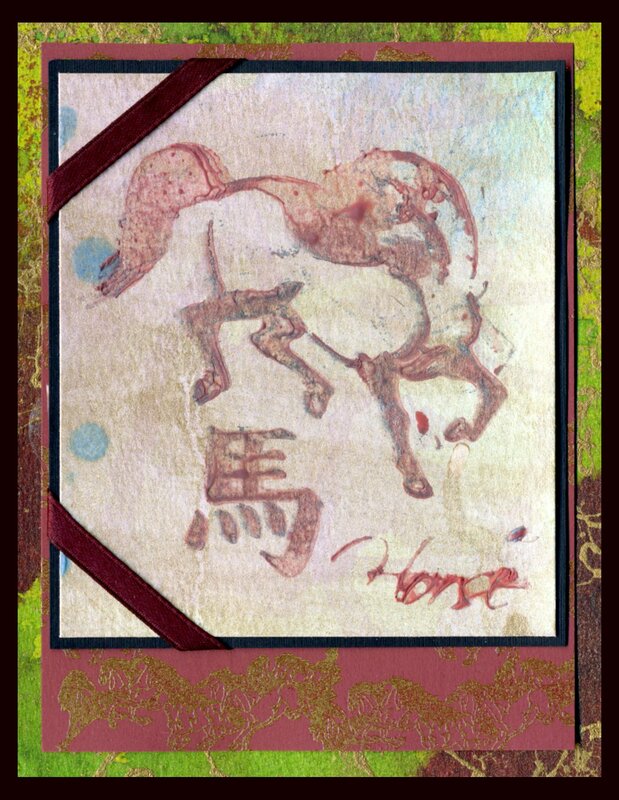 The Horse and words were heat embossed. 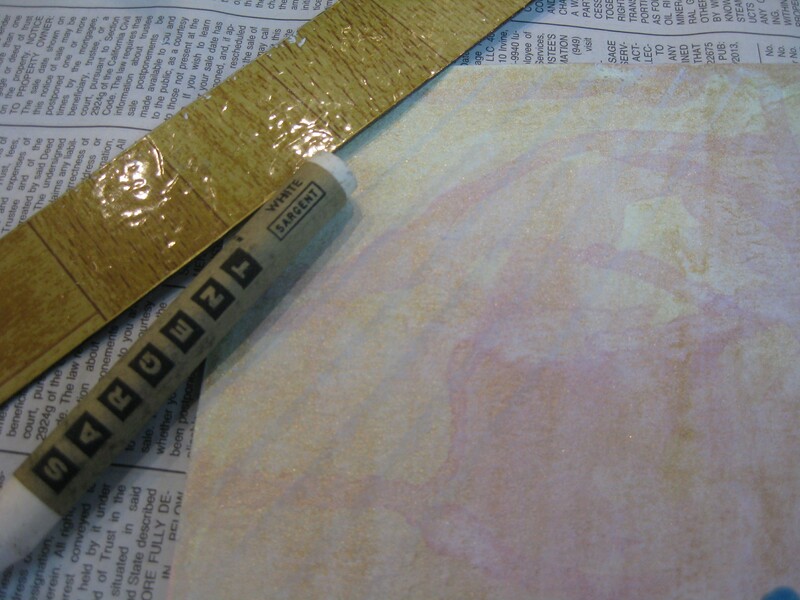 When you heat the pigment ink (on the horse) it will also heat the wax and the embossing powder will stick. For her blue dots, she melted blue candles and dripped them onto the paper. She then stuck it in the freezer to harden the dots. 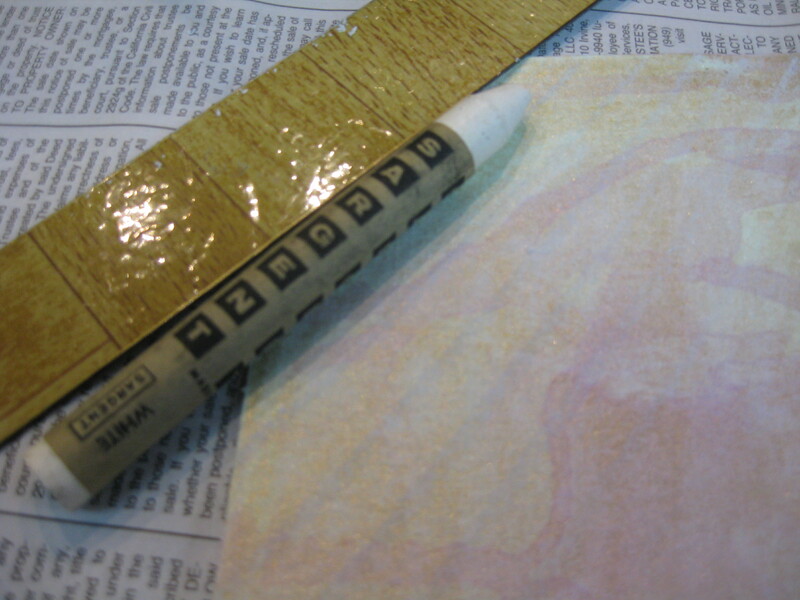 Another way you can do the resist with a white crayon is to stamp an image (like a lighthouse). Then color in the center of the lighthouse with a white crayon. 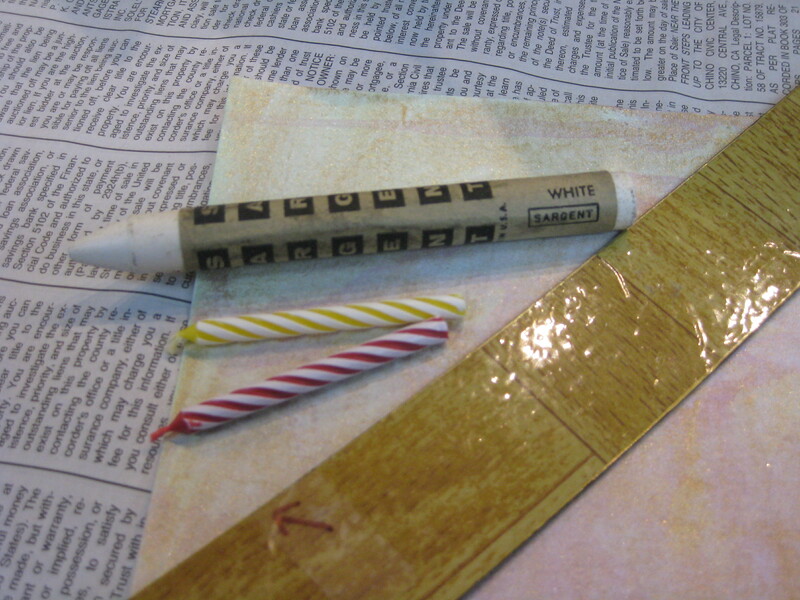 Then use your roller and roll over the entire card stock. Then wipe off the ink that is sitting on top of the white crayon and you’ll see the center of your lighthouse stayed white. It is cool! So go out there and give it a try. Have fun! !